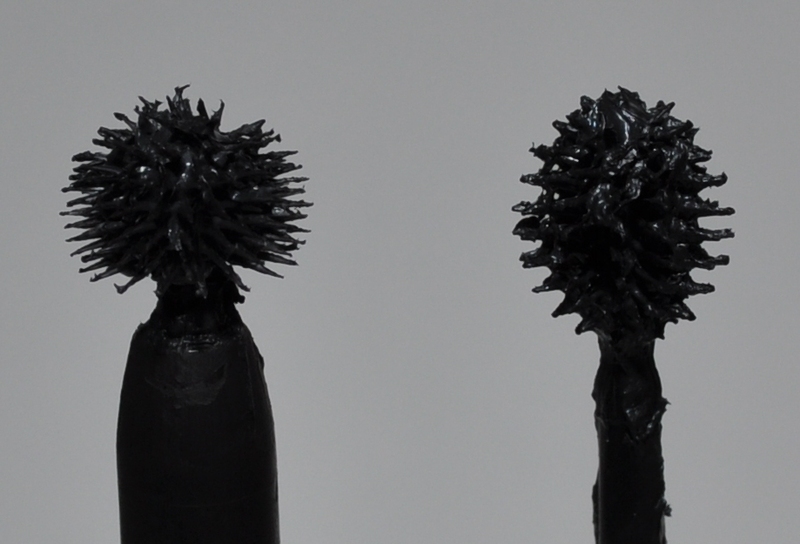 I’m sure you’ve all seen the new(ish) wave of mascaras the ball type brush heads. I was really curious about how they’d perform so I purchased the Givenchy one a while ago. I didn’t love it at first because it took me a while to get the hang of it but once I did, I was obsessed with it! When I saw the Loreal version I decided to pick it up too because I wanted to see if a drug store brand could pull off what Givenchy had. Packaging wise, there’s just no comparing Givenchy to Loreal. 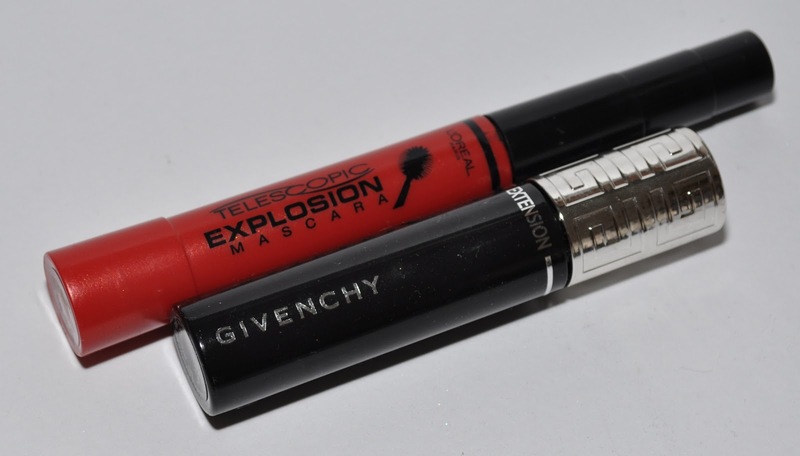 Givenchy’s is so sleek and compact and beautiful to look at while Loreal’s is… well, a bit tacky in my opinion with its bright red telescope type design. 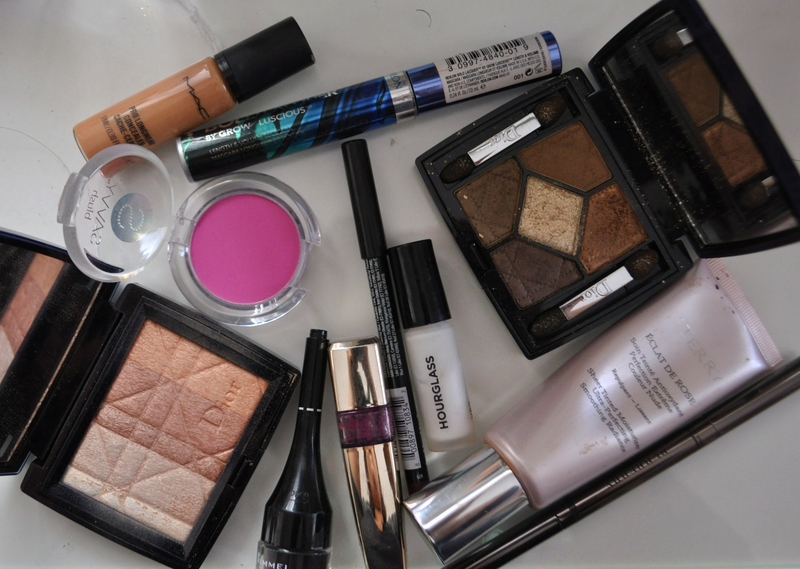 I try not to judge a book by it’s cover or a makeup product by it’s packaging though so I held my judgment. At first I was a Givenchy girl all the way but after a few goes with the Loreal mascara, I have to say that my loyalty may be turning. That’s mainly because the Loreal mascara seems to give a smoother look to the lashes, probably due to the fact that the bristles form a more uniform shape. 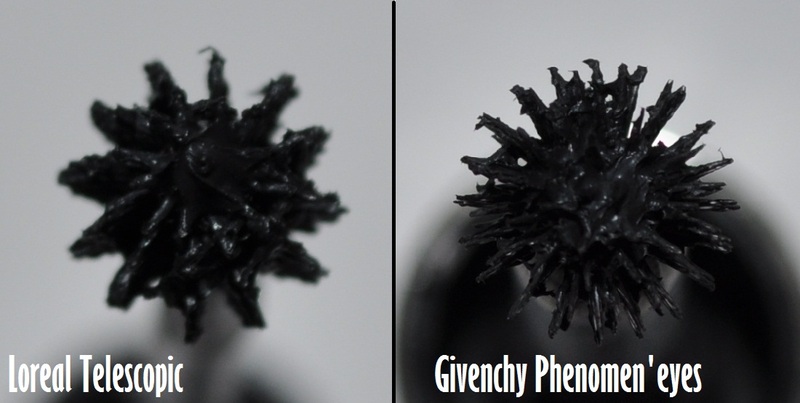 The Givenchy on the other hand seems to excel more at seperation since it has so many more bristles. Both mascaras do a pretty good job at lengthening the lashes but I feel like the Loreal helps more with volume. 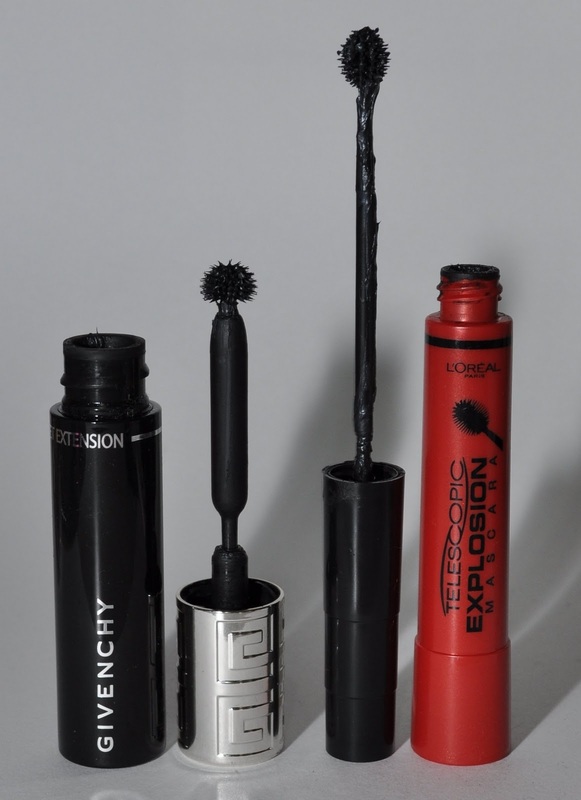 I still like and use both mascaras and I prefer the Givenchy for my bottom lashes but I have to say that I’d probably recommend the Loreal one because of the huge difference in the prices. The Givenchy mascara sells for $29.50 US and the Loreal sells for $9.49 US. 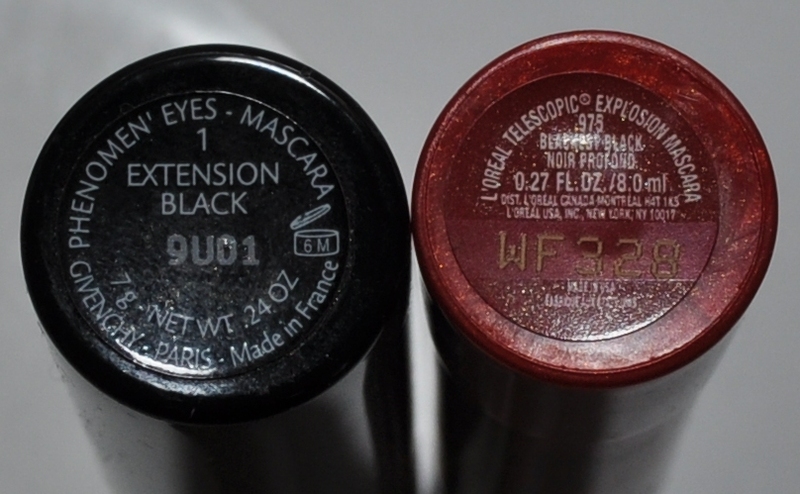 If you feel like splurging and want to try the original then go for the Givenchy but you’ll still get a great mascara even if you decide to go for the budget Loreal version. 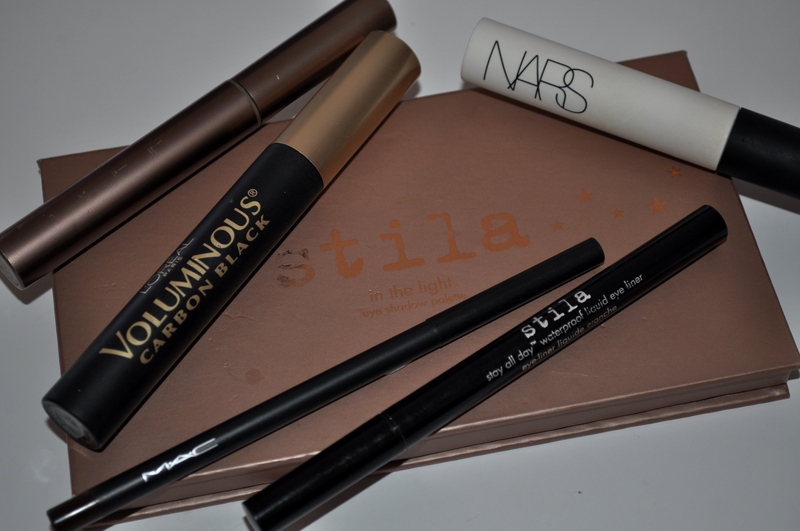 Have you tried either of these mascaras? What are your thoughts? 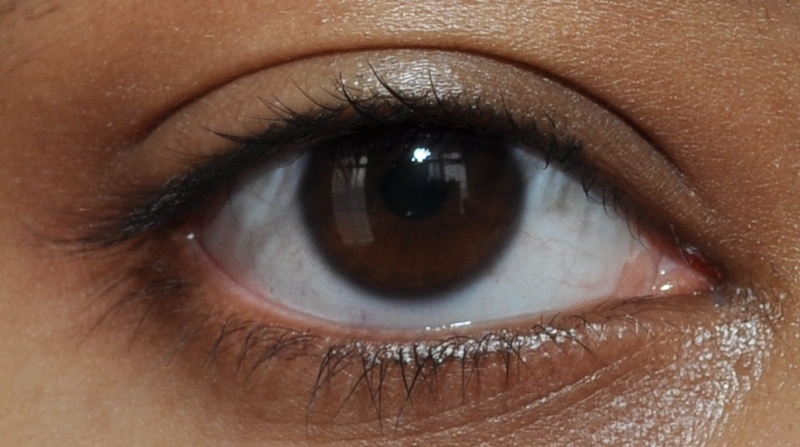 Also, do you think mascara’s are worth splurging on? Let me know below! No matter how much I try to avoid it I keep buying the same lip colours but I know I can’t be the only one. My absolute favourite colours to get are those that look like my natural lip colour but just better. I thought I’d share a few of my faves. This gloss is so pretty. 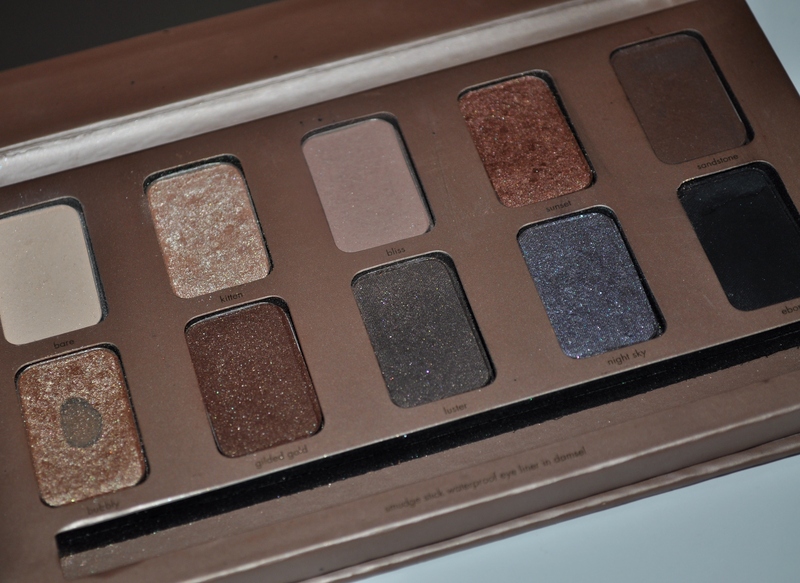 It has a gold shimmer in it so it’s great for a night out. The only problem I have with it is the smell which I think is supposed to be YSL’s trademark mango scent. I usually don’t really like scented lip glosses but for a colour this pretty, I can deal with it! This is very similar to the YSL one but I think the colour is acutally more opaque than the YSL gloss. It’s a nice gloss but it’s just a bit stickier than I would like but that’s true of most MAC glosses. This is a lipstick but still a fave. I think I like this lipstick because it goes on quite sheer and is really moisturising so the end product is quite close to a gloss anyway! 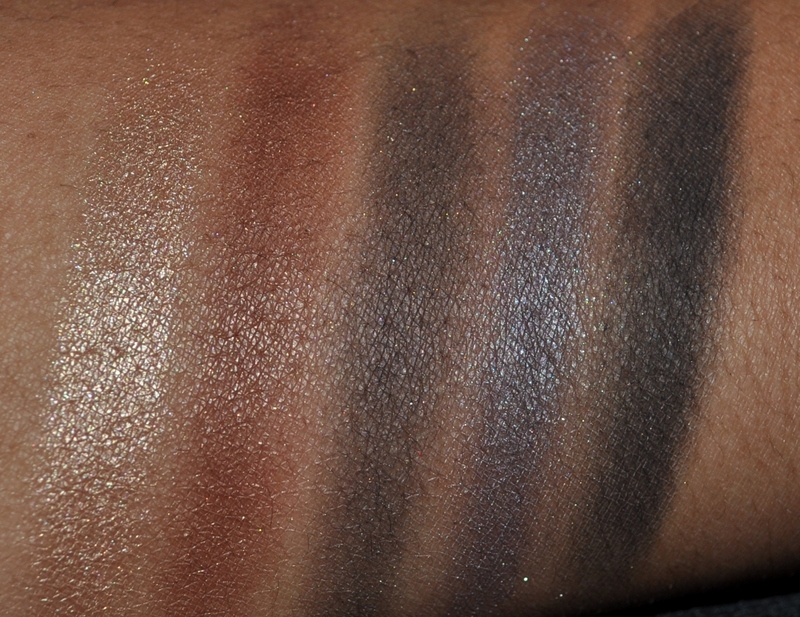 It does have shimmer in it as you can see. I know some people don’t like shimmer in their lip colour but I think it livens up the colour. 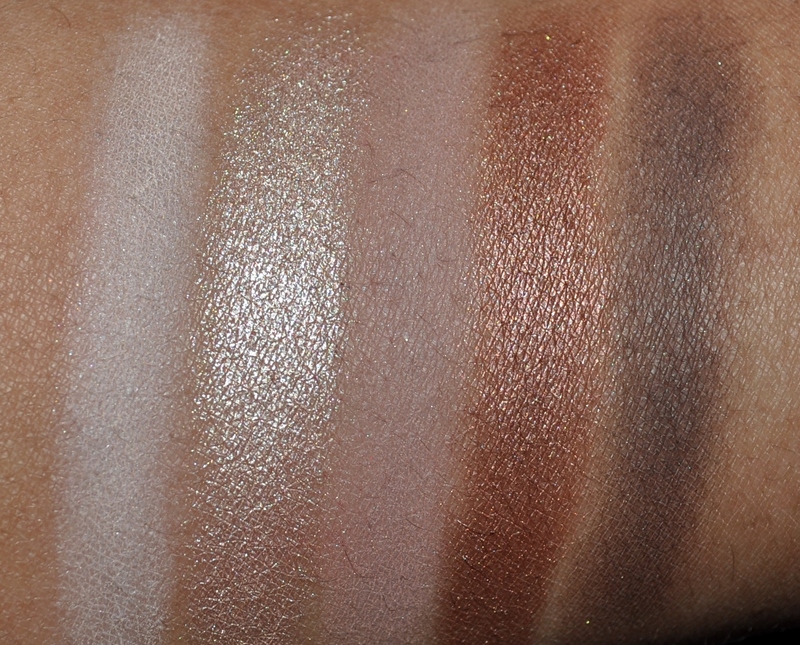 This is one of those products I walked past many times without taking another look at until I actually saw a swatch of it on someone’s lips. It looked so creamy and moisturising that I had to give it a go and I think it was less than $15 for 2 from memory. It does have a bit of a weird after taste because it is an ointment rather than just a gloss but I still love it and it’s great for those days when your lips are really dry. I actually forgot all about this gloss until my friend reminded me that I had a few Clarins glosses that I should start using again. I put this on and I couldn’t remember why I stopped using it. It’s really soft and not sticky at all and this range has a really pretty fruity scent to it.